The toddler, Abdullah Hassan, was born in Yemen, nearly two years after that country’s civil war began. 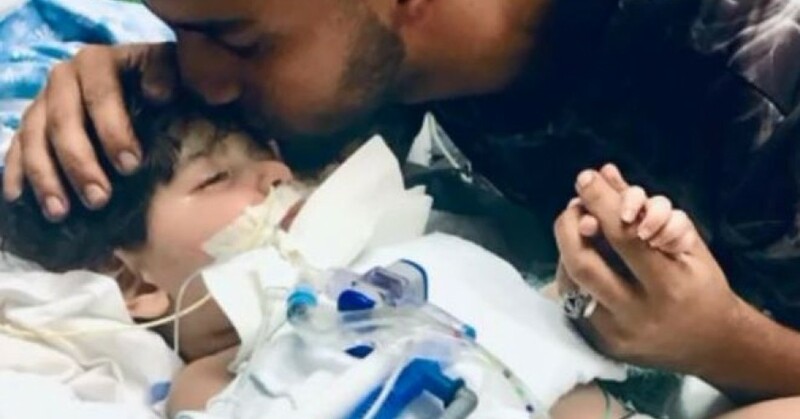 Abdullah was born with hypomyelination, a rare brain disease, and was brought to Stockton, California by his father Ali Hassan, a U.S. citizen, five months ago to receive treatment. His mother, Shaima Swileh, was forced to remain in Egypt awaiting approval of her visa. Hassan pleaded with the U.S. State Department on Monday to expedite his wife’s application for a waiver so she could say goodbye to their dying son. After Hassan appeared on CNN, their story garnered national attention and, under pressure, the State Department responded by issuing a waiver Tuesday morning for Swileh to temporarily travel to the United States, according to officials with the Council on American-Islamic Relations. The Muslim ban prohibits U.S. travel from nationals of Iran, North Korea, Venezuela, Libya, Somalia, Syria and Yemen. Rights groups fought to overturn the ban in the U.S. Supreme Court, claiming it was biased against Muslims, but the top court rejected the petition in June.